During the past year, the WebView vulnerability(ies) in Android have been making the rounds in various technology-focused websites. More recently, another WebView vulnerability was discovered, affecting versions 4.3 and below of the popular mobile OS (or roughly 60% of the users). Three days ago, HotHardware released a piece on why Google will not patch this vulnerability on 4.3, let alone older versions. As a quick reminder, Android 4.3, the last version of the Jelly Bean series of releases was launched on July 24th 2013 and its last point release (4.3.1) on October that year. That was 15 months ago. A device that shipped with this Android version was the second-generation Nexus 7, which is still under warranty on places where two-year warranty is mandatory, like in the EU. The Nexus 7, being a flagship Android device from Google, received updates to more recent Android versions; the same can’t be said about most other devices released with 4.3 or earlier. Those 60% sure would like to be in the 39%. I would like to shine light on another side of the problem: the fact that smartphones, tablets and devices alike can’t be updated by the user software-wise. In fact, it’s not just the user who can’t update or choose to run a different operating system: I’m convinced that for the most part, if the manufacturers wanted to update their Android systems to a more recent OS version, or switch to, say, Windows Phone or Firefox OS, they would have much trouble themselves. And I pinpoint this down to two different but related issues, the lack of a proper drivers system on Android (possibly involving Linux) and the multitude of ways these devices boot their OS, expect updates and do basic hardware communication. Both issues are related to a bigger problem: the lack of standards in the world of embedded consumer electronics. In this text I’m letting aside all the arguments regarding “open source vs. closed source”, “walled garden vs. open garden”, “but but binary blobs!”, etc. Both theory and practice have evidence that these debacles and inconveniences don’t matter, or there are ways to work around them that are successfully used in practice. The only “inconvenience” that might remain, is the hardware manufacturers’ wish for people to replace their “old” devices every six months or so. This turns out to be a game of extortion made for those who worry about their security: “if you want a OS patched against this horrible vulnerability, just buy a new device that won’t do much more than your current one, but will have that single line of code changed”. In a perfect world though, manufacturers which wanted to play that game would have to do it in the clear, by explicitly locking their devices (as most already do) and announcing on the box that there will be no updates, fixes or warranties software-wise. (Curiously, the texts that say such things are usually free-as-in-beer software licenses, not software you pay for in the form of hardware). But letting aside the utopia and focusing on the two standards-related issues I mentioned before. I said Android doesn’t have a proper drivers system. This statement can be taken as incorrect, because, after all, Linux is the part of the stack responsible for driving the hardware. But while Linux is not Android, Android definitely includes Linux, and their creators and maintainers make a deliberate choice to use this kernel. I’m not saying it’s a bad choice, well on the contrary – only Linux and a few other Unix-like kernels could scale down and adapt to the hardware and ARM architecture used in most handheld consumer devices. Using Linux is taking a giant shortcut (again, that isn’t bad – reusing is good). Microsoft, for things like the (abandoned) Windows RT and Windows Phone, besides porting some of the upper layers of the Windows stack and developing new ones, also had to do additional work to get the NT kernel to run on such hardware. It’s worth mentioning that despite that effort, Windows Phone 8+ has hardware requirements higher than those of Android (comparing versions released in the same time span, please correct me if I’m wrong). Going back to the drivers, many people say the big roadblock to making new Android releases run on (relatively) old hardware is the binary blobs, the closed-source drivers that control much of the hardware in those embedded systems. Now, a bit of anecdotal evidence: I use proprietary drivers from at least Nvidia and Broadcom on the Linux install on my laptop, and these have survived fine upgrades from Linux Mint 15 to 17, and multiple Linux kernel updates from at least 3.8.8 to 3.14.27. This is because the proprietary part is well separated from the things that can possibly change between kernel versions, and there are clear update paths defined. There is another “entertainment” awaiting those who take the updating matter into their own hands and attempt to port the OS of their liking to their device, which is understanding how the device expects to be updated and how it starts its OS. While this is sometimes just a case of watching updater software do its job (that is, when an update is even available), often additional steps are needed, and this is where one finds out that most devices use U-Boot, but often it’s even more patched than the Linux kernel, and again, source code is nowhere to be seen. There is then a myriad of ways to boot the kernel and from there to starting userspace, and fortunately this is more or less constant between Android devices. Still, undocumented quirks are everywhere, and one basically has to work with each device on an individual basis. The same model has various versions? Great, expect to repeat that work for each version. And finally, we get to what I personally think is the core of the issue: each device is too much of an individual situation, and work must be done for each device. It’s been like this since, well, ever – for well more than a decade, since what can be called the first smartphone was launched (HTC Wallaby). In the beginning, I think this was justified – the hardware was not very powerful to be able to handle complex software abstractions and advanced boot methods, nor did software advance at today’s pace. Consumer handhelds were also not as ubiquitous as today. We can compare this to the evolution of the Personal Computer, where in the end everyone settled around the IBM PC standard. 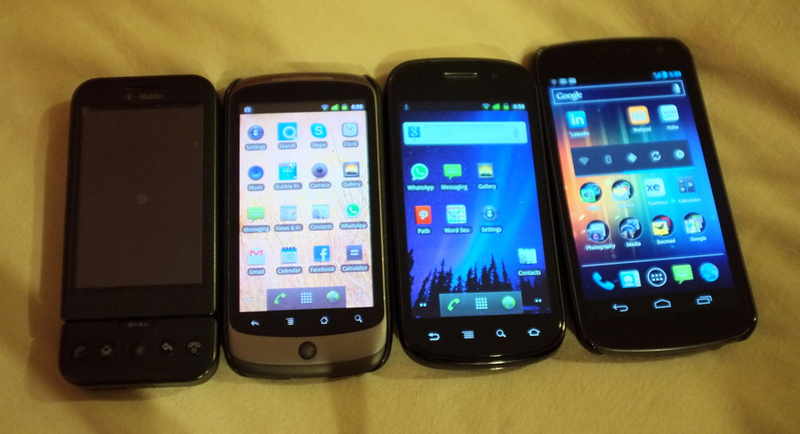 A corresponding standard for the smartphones and tablets everyone has is yet to be found – such a standard is what enables one to buy almost any computer off the shelf and install a different OS in it, or a different version of the same OS. It would also allow for buying devices without OS preloaded. This means the user would be able to control its user experience and security. I would no longer have to buy a new phone to stay safe, just because (and this would happen inevitably – no software is bug-free) a vulnerability was found in Android 4.2. Sure, despite the PC standards, there are computers in the market which come as locked down as today’s tablets and smartphones. And there is no problem with that, as long as such locked-down things are not the only option. When locked-down is the only option, or unlocked options are prohibitively expensive, there is little room for innovation, consumers end up not having much to choose from, and eventually, no way to have durable hardware, if all the available alternatives support the “update the hardware to update the software” scheme. Even in today’s context, there are better ways to ensure operating systems keep up-to-date in terms of security, without exactly requiring a change to another version. Google should look a bit more into Microsoft, which got one thing right on Windows for over ten years: Windows Update. Microsoft ensures support for a specified number of years for its OS, independently of the hardware it runs on; this is something consumers like and enterprises love. Google seems to have learned, so much that it is moving a lot of things that were previously built into Android to Google Play Services, a component that can be updated through the Play Store like other apps. Unfortunately, this means making more and more of the OS closed-source, but that’s another subject. Personally, I would rather pay, say, 10 to 20% of the original price of my phone with each update, than having to buy a new phone when I definitely don’t need one except for the bits executing in its CPU which all of a sudden are “old” and insecure. I believe an update scheme a-la-Microsoft would be profitable for Google and let them have a bigger market share in the enterprise. (Actually, if Google is taking any of that market share, is because of the “cloud! factor” and because enterprises are moving to Google’s systems as “it’s what everyone uses”, and not because it fits their needs better). It could be perceived as terrible for hardware manufacturers, because there would be one less reason to buy new devices, and let’s not forget Google also sells hardware. Apple sells hardware too, and people happily run Windows, Linux or whatever on their Macs and MacBooks, and I doubt Apple has lost any business because of that: well on the contrary. It shows the two things don’t need to be exclusive. Apple still manages to sell a lot of Macs and people who want to stay with an older machine still enjoy updates for much longer. In their line of consumer handhelds, while it is perceived as being even more locked down than the competition, each model tends to get at least two major OS updates (for free! ), making people who aren’t in an “upgrade cycle” happier. I am actually surprised and annoyed that consumer rights associations don’t complain more about the situation. It seems that certain companies were successful in sinking into people’s minds the idea that in the case of phones, tablets, smart watches, etc. the software can’t be decoupled from the hardware. In fact, in its current state, it’s really hard to decouple it, but it’s because that’s what manufacturers want, not because of technical obstacles. Perhaps this thinking comes from the fact that, after all, the introduction of smartphones and tablets to the general public was done by Apple, which presented their vertically-integrated walled-garden first and foremost, and giving everyone else the idea that was the only way these devices would ever be successful. To finish, another anecdote. I have bought a cheap unknown-brand tablet with a x86-64 Intel CPU. It runs full Windows 8.1 and is fully up-to-date thanks to Windows Update; I’m very happy with it. When Windows 10 comes out I plan to install it; either the upgrade is as easy as from 8 to 8.1, or I’ll install it manually by connecting a USB stick and using the UEFI. As we know, Windows is closed-source, and drivers are nothing more than closed-source “binary blobs”. Still, I know I’ll be able to install most if not all of these drivers in Windows 10, to a point where I can use that version of Windows on the hardware I have now. Perhaps I’ll need to throw some money at Microsoft to have Windows 10, if that idea of giving it for free to users of 8.1 and 7 turns out to not apply to me. Had I bought an Android tablet, I could throw money at Google and at the manufacturer, and I’m sure that after a year or so, neither would put a single update out for the hardware. The money would have rendered a new piece of hardware, yes… but of how much use is another piece of plastic and silicon, when the previous one works perfectly? They sure like to contribute to e-waste. Related question: are there any phones running full x86 Windows? Perhaps once Windows 10 comes out? It would be good if one could go to a store, buy any smartphone or a tablet, and later choose what OS to run on it. Like what happens with desktop and laptop computers, you buy any one of any brand (even Apple!) and you can almost certainly run a OS other than the default on it – some things are taken for granted on a PC, which allows for this kind of freedom of choice. Sure, you can install custom ROMs on smartphones… now go ahead and buy any one that isn’t popular and see what happens. 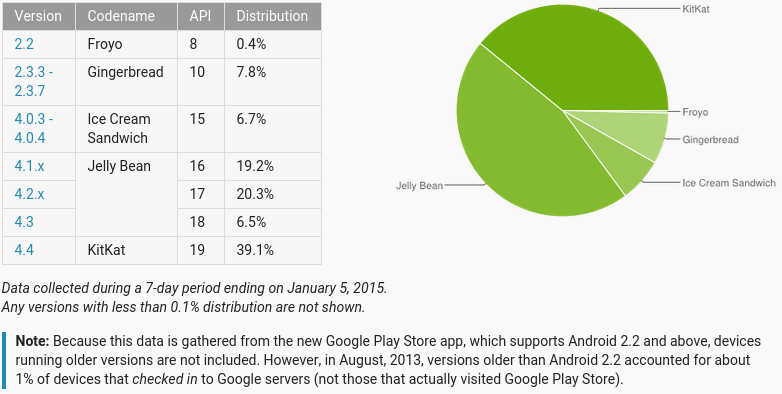 If there is not a big enough user base most likely there isn’t anyone to develop custom ROMs. And unlike what happens with PCs, there doesn’t seem to be some list of assured features and standards. On personal computers, even on the ones built from OEM parts and no recognizable brand, it’s as simple as setting a boot device that is an OS installation disk. Sure, you need drivers to get the full potential of the hardware. Still, some things Just Work(tm), like PS/2 keyboard and mouse, serial ports, VGA video out (and I don’t mean graphics acceleration) and disk I/O. Isn’t it about time some sort of standardization starts happening for mobile devices too, both at the hardware (charging connector/method) and software (system booting, basic elements)? The idea would be that simple things like storage I/O, screen (without GPU), touchscreen input (even in single-touch mode) and hardware keys Just Work(tm) because they are really easy to drive by the OS? Look at something like KolibriOS. It is pretty limited on what it can do on a PC, because of a limited amount of drivers are included, and anyway everything is very simple. But as things are now, there’s no way one could write a KolibriOS that would run on all the phones and tablets the same way Kolibri runs on almost every PC, even with limited functionality. I was playing around with my cheap Flytouch Android tablet, using dd to create images of the different partitions of the internal storage (which is, in fact, just a microSD card). Turns out I discovered that there is a 256MB FAT partition living on /dev/block/mmcblk2p6. By this time, geek users already know what to do: with root privileges, mount the partition in some directory.. This should result in a new folder in your sdcard directory. This folder is a filesystem node, like the sdcard1, udisk1 and udisk2 folders. Why is this partition in these tablets? Well, I have a theory. These tablets support having a recovery partition, even though most firmware updates provide no recovery image files. The fact that this is a 256MB partition may indicate that it is meant to hold contents similar to the system partition, and in this case, it should be formatted as EXT3 and not FAT. As most firmware versions for this tablet available on the internet don’t include a recovery image, this partition just gets formatted as FAT by the updater kernel at update time. But what if the updater never touches this partition? This would be pretty good news. You could use this more or less hidden partition to store the owner information, so if your tablet ever gets stolen you’d always have a way to recover it. If that was the case, you could also use this partition to store essential APK files and configuration so it would be easier to recover from a firmware update or factory reset. As a last and kind of unrelated statement, I’d like to point out that the bootloader of InfoTM tablets is much more complex than it may appear at first. Through a serial line that I believe to be the A-A USB connection used by IUW to burn updates, the bootloader can provide a serial console, that can be used to change the boot parameters for Android and maybe even boot other operating systems from the external SD card. This thing of the bootloader is something I’m figuring out slowly by analysing the uBoot update file I have, u-boot-nand.bin. If you have one of these InfoTMIC tablets, feel free to comment below with any important additional information. NOTE: this post was written months ago but was sitting on a text file on my desktop for months, waiting to be posted. So this isn’t a recent discovery, but still an interesting one. My cheap Android tablet is fixed! Some time ago, I posted here in the blog that the cheap Android tablet I had bought four days before, broke. Turns out the problem indeed was the corruption of the internal microSD card, which acts as the main memory of the thing. The tablet in question is a “Flytouch 3″, P041 model with silver back. The processor is an Infotmic one, as usual with these cheap tablets (fortunately, Chinese makers are now moving to better dual-core Cortex processors). The original internal microSD had 16GB, no brand and said it was a class 4 card. Finally, after disassembling the tablet and taking the card into a reader on the PC (to try and format the card, since the tablet wouldn’t want to write to it and would fail every system update attempt), the microSD finally broke and now it’s not recognized on any reader – a low-quality card, now dead. I ordered from Amazon another 16GB card, this time a class 10. I put it on the tablet, assembled it back, and the bootloader could flash a new update to it fine. Android is now blazing fast, either because the card is a class 10 or because the old one was very damaged. So far, everything’s working except the hardware wifi switch I accidentally broke when the tablet was open. Again, I had some luck, as the switch was left on the ON position – and curiously, the wifi connection seems stable than before. Let’s wish this thing keeps working as it has until now… it’s been almost 24 hours since I put the new microSD in. Now, my turn on Christmas wishes: let’s hope my new shiny, cheap Android tablet I bought (Flytouch 3, P041 model, not a Christmas gift!) gets fixed – its internal memory (a microSD card) is corrupt. Now I need to fix the microSD card in a Linux computer. Linux computer? Check. SD card reader? Check. microSD reader? Missing. Trying alternatives… microSD-to-SD adapter? Missing… Santa, all there is on my gifts list is a way to fix that tablet’s microSD, I want a microSD-to-SD adapter or a USB microSD reader (costs $1)! I’ll let you know if/when I fix the device and get rid of that damn error the Flytouch returns when trying to burn the Linux kernel to said microSD!